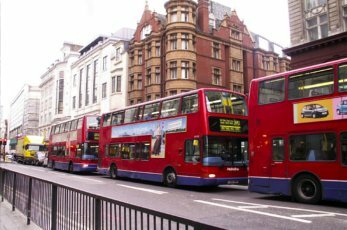 The London Assembly’s Transport Committee has raised ‘fundamental concerns’ over Transport for London’s (TfL) restructure of London bus services. It described as ‘a pivotal issue’ TfL’s proposals to reduce central London services without an indication that capacity will move to outer London areas, pointing out that this was proposed in the Mayor’s Transport Strategy. The committee said the changes would also disadvantage disabled passengers, with TfL having admitted that an additional 36,000 people each day will need to change buses on their journeys. Committee chair Caroline Pidgeon AM warned mayor Sadiq Khan that he risked losing the confidence of Londoners and urged him to rethink the plans. ‘Importantly, the plans could leave many passengers with disabilities or mobility problems having to make more changes on their journeys. Interchanges must be made easier for passengers, with adequate shelter, accurate and timely information, and shorter walking distances between stops at the very least. The committee also said the consultation on the proposals is not comprehensive enough as it does not allow participants to give views on how the network functions as a whole or address levels of service in different parts of London. Geoff Hobbs, TfL’s director of public service planning, said: 'Our recent proposals, which focused on central London, are the most extensive in 16 years. They aim to modernise bus travel in London by matching capacity with demand, reducing congestion while enabling year-on-year increases in bus services in outer London.